To Mamuthones’ chief-in-command, Alessio Gastaldello, the world is a frightening place. 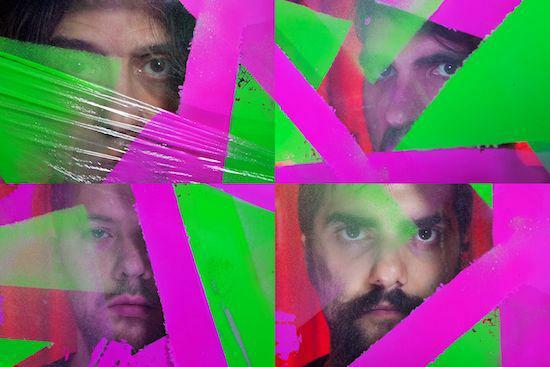 The Italian dance-punks’ latest album, Fear On The Corner, released recently on Rocket Recordings, is a chaotic funhouse display of deranged rhythms, whacked out synthesisers and impassioned vocals that invoke James Murphy on a pretty intense ayahuasca trip. It’s fitting then that the origins of the band itself are essentially a product of fear - or one specific fear at least; a visceral reaction to something uncanny. After leaving his previous band - the Sub-Pop signed psychedelic rockers Jennifer Gentle - Gastaldello briefly flirted with academia, taking on a research role at Università Iuav di Venezia. Unable to get such a disturbing image out of his head, Gastaldello adopted the moniker for his solo work when he returned to mainland Italy. The initial Mamuthones sound was steeped in the adopted theme of pre-Christian ritualism, what he describes as “obscure”, “primitive” and “awkward” music. Indeed, their debut record Sator is an exercise in abstraction, emphasising amaranthine drones, whispered vocals and scattershot electronics. 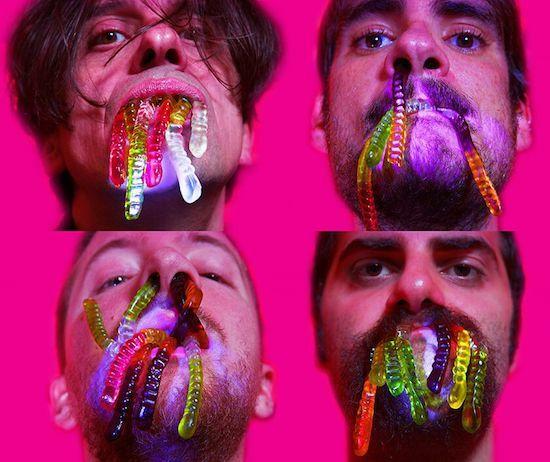 It’s certainly true that Mamuthones’ looped funk chaos and paranoid lyricism is more reminiscent of David Byrne and co’s afrobeat-inspired fourth outing. “And On The Corner, the repetition and looping… but this is something I’ve listened to for years.” It wasn’t until after the album was completed that the idea of amalgamation was posited as a selling point. “From a journalistic point of view, of course, it’s the perfect thing to say,” says Gastaldello with a wry smile.